Uninsured motorists in Missouri will no longer be able to recover compensation for pain and suffering from another driver at fault in causing the accident, so long as that at-fault driver has auto liability insurance. In September 2013, both the Missouri’ House of Representatives and the Missouri Senate overrode Governor Jay Nixon’s veto of this proposed legislation, thus enacting House Bill 339 into law. Under this new statute (RSMO 303.390), an uninsured motorist waives the right to pursue a lawsuit or a claim for any non-economic damages against a person who carries the minimum amount of insurance ($25,000) required by Missouri’s financial responsibility law. Non-economic damages are the types of damages that are difficult to calculate, such as pain and suffering, loss of a normal life, disability and disfigurement. 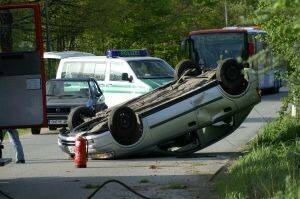 The statute says that an uninsured driver is limited to recovering economic damages. Economic damages include such things as medical bills, lost wages and property damage. The major exception to this forfeiture of rights occurs if the injured uninsured motorist can prove that the insured driver was under the influence of drugs or alcohol, or the accident results in the insured driver’s conviction for involuntary manslaughter or assault in the second degree. The law does not apply to passengers. An “uninsured motorist” includes any driver who does not have insurance, whether it is the owner of the car or not. If you have your own liability insurance but are driving an uninsured auto, the law should not apply to you. Also, the law does not apply if the person at fault does not have the State-required amount of liability insurance. Theoretically, if you don’t have insurance and the person who negligently hits you does not have insurance, this law does not apply and you can collect pain and suffering from the negligent driver. (However, if the negligent driver does not have insurance, this will be difficult to accomplish anyway). The law also makes an exception under circumstances where the uninsured injured motorist had the necessary liability insurance in the recent past, but was cancelled for failure to pay the premium unless notice of cancellation was given by that person’s insurer at least six months prior to the accident. Obviously, the law is intended to punish people who do not carry the amount of liability insurance required by law – but not to punish someone who temporarily does not have insurance because of a missed bill payment or a technicality. The law will have the collateral effect of punishing drivers who do not have their own insurance because they do not own a car, but who drive someone else’s uninsured vehicle. According to the statute, the jury would not be advised of the fact that the damages it awarded will be reduced by the judge to exclude any compensation for non-economic losses. Because the law involves such a substantial departure from the rights afforded to Missouri citizens under the long-standing common law, it is likely the law will be challenged on Constitutional grounds. Similar to the recent case that found caps on medical malpractice lawsuits unconstitutional (Watts v. Lester E. Cox Medical Ctrs, 376 S.W.3d 633 (Mo. banc July 31, 2012), this new law may deprive injured victims of their Missouri Constitutional right to a jury trial. Any constitutional challenge will take some time, however. To make sure you are fairly compensated for your injuries, make sure you have your own auto liability insurance or ask a vehicle owner if they are insured before you get behind the wheel. For more information, St. Louis Today also discussed this legislation in its article: Missouri Legislature chips away at lawsuits with veto overrides.